In the heart of the downtown core, Yonge Dundas Square proudly presents the 2nd Toronto Japanese Summer Festival, a celebration of Japanese culture, music, art, fashion and food. The festival is open to the public and free for everyone. Apparently (although it’s obvious enough for torontonian) Japanese didn’t have their present in the downtown cord unlike some areas are named based on the local culture and population census ( China Town, Korean Town or Little Italy), and they could like to be invited by to this busy urban life. Surrounded by loud music and people conversation, the facilitator didn’t deliver the speech completely. Equal rights and liberities for all Canadians, regardless of race, colour, creed, national origin, gender or sexual orientation. Voicing the interest of Japanese Canadians to national, provincial and local governments and other organizations. 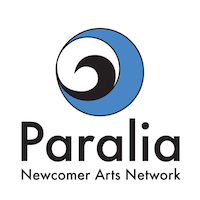 Paralia supports and promotes newcomer artists as well as encourages their self-sustainability by providing them with the skills and resources needed in order to establish an artistic presence in Canada. Paralia Newcomer Arts Network is the brand name of the organization legally known as Paralia Arts Network.